Rebekah Armstrong is a Baylor graduate who began her career as an assistant and advisor to a series of far right-wing representatives. 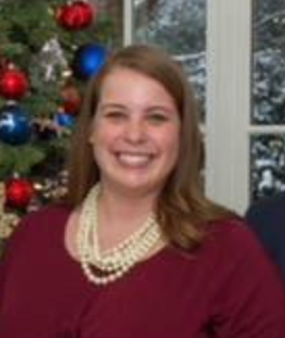 She then worked as a staffer for the House Republican Study Committee before becoming a domestic policy advisor to Vice President Mike Pence. She recently joined HHS as Deputy Assistant Secretary for Legislation (Human Services). The Office of the Assistant Secretary for Legislation develops HHS’ legislative agenda and works with Congress to enact it. The office also supports the implementation of legislation as well as White House initiatives concerning health and human services. As Deputy Assistant Secretary for Legislation (Human Services), Armstrong helps to form and advocate for the Department’s legislative agenda regarding, among other departments, the Administration for Children and Families, which inlcudes the Office of Refugee Resettlement (ORR). ORR oversees care for unaccompanied minors who enter the United States and aggressively stood in the way of young pregnant women accessing abortion. As a House Republican Study Committee staffer, Armstrong attended two Heritage Foundation-sponsored retreats with the purpose of “[interacting] and [discussing] pertinent policy details with outside leaders.” The Heritage Foundation works to erode abortion rights and birth control access, and is also a proponent of abstinence-only education. During the time that Armstrong worked for Pence, he cast a tie-breaking Senate vote to allow states to withhold Title X funds from Planned Parenthood and other clinics that provide abortions; sought to stop requiring health insurers to include maternity care in their plans; and pushed for the reinstatement of the “global gag rule,” which prohibits the U.S. from aiding international health and educational organizations that discuss abortion.